NDP Revival in Newfoundland and Labrador? It'll be interesting to see if McCurdy can turn things around as leader but he's currently doing no better in the polls than Michael, which I find surprising. An Abacus poll released this past week also painted a pretty bad picture for the party. The NDP had always been stronger in the St. John's area - especially in 2011 - but this isn't the case anymore. Abacus showed that in St. John's and on the Avalon the party is polling at just 8%, that's below the support the party had in the region in 2007. Their numbers are actually higher on the west coast and in Labrador. While they could possibly pick up Labrador West in an election there won't be any seats on the west coast up for grabs. The Abacus poll showed that the economy was the top issue in the province followed by health care. Just 1% of people polled felt the NDP were best able to manage the economy. So even their own supporters don't think they're best able to manage the economy. 9% thought they could best manage health care, but this was always an area the party did well in. The party has historically never been very popular but I think many still had very positive views of the NDP. That doesn't appear to be the case anymore and I think it won't be easy for McCurdy to change minds. McCurdy has been talking about the economy and the importance of both the public and private sector in a healthy economy. The NDP have never put much focus on economic issues and it's clear by this poll that it hasn't helped them. A comprehensive economic message that contrasts from the PCs and Liberals is needed. Any chancd that the NDP could survive based on a wrap-around from the PCs falling into third? Which leadership hopefuls have spoken so far? Listening to Earle McCurdy right now - he gots that folksy Newfoundland & Labrador humour and charm. Good speaker. NDP leadership: Who will be chosen to replace Lorraine Michael? 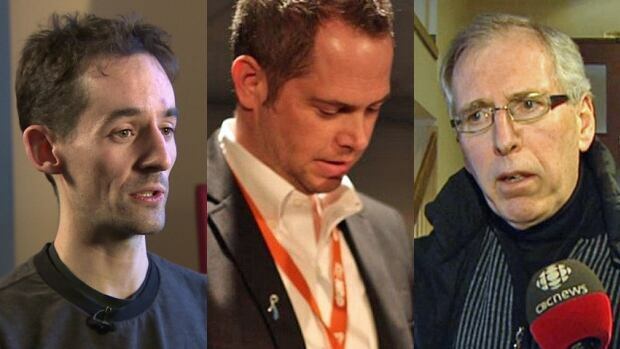 VOCM News will have live coverage of the NDP Leadership convention from The Sheraton Hotel beginning at 4 p.m. The voting process is by preferential ballot - good! Newfoundlander Mucho thanks for the live feed link to the convention Which leadership hopefuls have spoken so far? Sorry I'm just seeing this now. I never got to see Chris Bruce speak but he supposedly did a god job, again, and spoke without notes. Just want to thank Newfoundlander for keeping us in the know about the goings in in Newfoundland and Labrador politics. Much appreciated, eh! And thanks to Mike Goosney for live streaming this NF & L NDP Leadership Convention. Why is this not being covered by the CBC Newsworld? If anyone is able to get NTV they are starting a broadcast now. I believe Jack Harris is joining them. PC support has been consistent at around 30% for the last couple of years despite a very unpopular leader, leadership embaressments, and one controversial move after another. Unless the upcoming budget really hurts them I would say the lowest their support would be in an election is between 25%-30%. The party also has more suppot in Eastern Newfoundland, which is where most of the seats will be. So if they can keep their current support levels then it means the NDP would need to take about 20 points from the Liberals to catchup to the PCs, which would bring us back to the three-way split in voter intention we saw prior to the revolt. CBC is not covering it on TV. Earle McCurdy won an overwhelming victory in the NDP leadership Saturday afternoon. New NDP leader, Earle McCurdy, is embraced by outgoing leader, Lorraine Michael. Former fisheries union president Earle McCurdy won the NDP leadership with an overwhelming victory late Saturday afternoon. McCurdy received 889 votes. The runner-up, Mike Goosney, received 299, and Chris Bruce came third with 110. When he took to the stage at the Sheraton Hotel following the announcement, McCurdy immediately looked ahead to the next general election. He said a week is a long time in politics, and the months between now and the election — expected some time this fall — practically amounts to an eternity. “We have momentum, I believe, on our side now,” he said. McCurdy has his work cut out for him in the coming months. The NDP has been on a public opinion roller coaster for the last few years. In 2011 the party achieved its best ever election result, and in the years following that, the NDP briefly flirted with first place in public opinion polling. In the fall of 2013, though, a messy caucus revolt led to two MHAs crossing the floor to the Liberals. The infighting damaged the party’s public credibility and perceived competence, and in a string of byelections, New Democrat candidates came a distant third. At the convention this weekend, party members said they hope that the change in leadership will finally turn the page and allow the party to get fair hearing from voters when they talk about their public policy issues. McCurdy does not hold a seat in the House of Assembly, and he said he doesn’t plan to seek one before the general election. Instead, he said he plans to work with outgoing leader Lorraine Michael and the other two NDP MHAs, George Murphy and Gerry Rogers. Throughout the short New Democratic leadership campaign, McCurdy has hammered away at Premier Paul Davis and Liberal Leader Dwight Ball, saying the two have more similarities than differences, and neither one represent the best interests of Newfoundlanders and Labradorians. McCurdy said he believes that New Democrat values are essentially synonymous with Newfoundland and Labrador values — social justice, equality, and helping the less fortunate. The polls may not show it now, but this is a very good thing for the NF&Lab NDP. This should not be taken as an attack but what makes you say this? Do you live in NFLD or know a lot about it? Here's a good article that I think summarizes eveything very well. As well Selinger's win today is interesting considering this is what the NDP caucus in NL had asked for. Had Lorraine Micahel done as Selinger did we could have quite a different situtation going on. I lived there for many years and my wife is from there. Yes, I follow Newfoundland politics and was actively involved in Newfoundland politics at one time. Why do you think him becoming leader is such a good thing despite polls? McCurdy is a talented politican and well known but he's also a polarizing figure. A poll released a few weeks ago showed that when it came to choice for premier he was the choice of 12% while Michael had previosuly polled at 10%. Considering everything she had gone through I was surprised that McCurdy was unable to do better. He's basically just the choice of New Democrats. I would be interrested in knowing how many people have a positive view of him and how many have a neutral or negative view. With such aminosity towards the PCs there appears to be a real opening for the NF & L NDP. Hopefully they seize upon it rather than themselves this time! (The grey-beards among us will recall that it was the same Clyde Wells, the chief architect of this week’s evisceration of Bill 29, who was a prominent member of the Liberal party rebels who had the guts back in the late ’60s to stand up to Joey and his dictatorial ways). There was almost immediate revulsion towards Bill 29 after Collins made his springtime proclamation, one that would haunt the Tories to this very day. 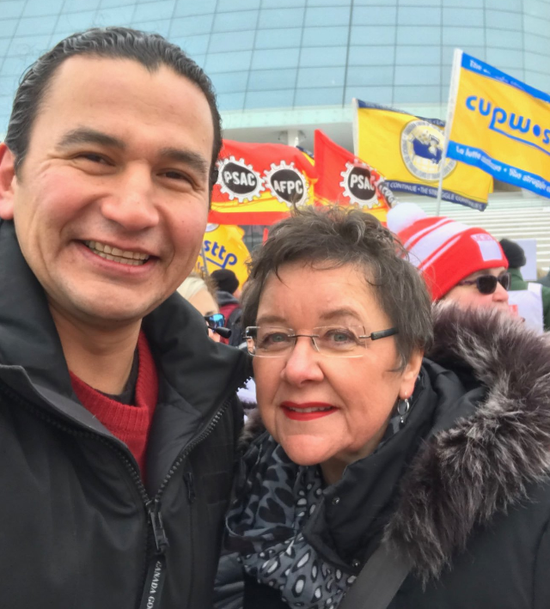 And Lorraine Michael, the outgoing NDP leader, was at the forefront, and should be given credit for carrying the flag of opposition to the legislation. You couldn’t blame her if she quietly declared this week: I told you so. And Paul Davis was in the cabinet as well. What did he have to say about a bill that has now been condemned by a mightily impressive panel (Wells, former journalist Doug Letto and former federal privacy commissioner Jennifer Stoddart)? Then there’s Steve Kent, the minister who showed not an ounce of sheepishness as he appeared with Wells and Letto to release a report that trashed legislation he had rigorously supported and defended. Kent has that Brian Tobin talent of talking forever without saying anything of substance, but he can’t yak his way out of this one: he was in the caucus at the time, he was a willing proponent of a plan to keep information from his constituents, he voted for Bill 29. Kent, Davis, Collins, all of those politicians in cabinet and caucus, have to be held accountable for their deplorable decision to defend Bill 29. Bruce Anderson released results of an Abacus poll last week and also gave several interviews. He noted that people aren't really that upset with the Tories just indifferent towards them. Paul Davis has ok favourability numbers and satisfaction with government is over 50%. As well, former premier Tom Marshall was praised for initiating the Bill 29 review, despite having voted for it himself. From what I have heard I don't think many people will be that upset that the government is backtracking and bringing in what is considered to be some of the best ATIPPA legisaltion in the world. I just don't see enough anger with voters - yet - for McCurdy to tap into to take votes from the PCs. The upcoming budget may help the NDP. McCurdy has been putting more focus on the Liberals than the PCs. Like any party, their success should depend on hard work and sound policy — not on tired old stereotypes. The latest poll has the NLNDP in first place with 38% and leader Earle McCurdy quickly gaining in popularity. Earle McCurdy received a 91.6% approval rating at the NLNDP convention yesterday. Both the PCs and Liberals are discredited. This is going to be interesting to watch. The NLNDP has a lot of work to do to over the next few years to create a team that's ready for government. More ready than the Liberals were. It will be interesting to see if the NDP will actually do anything to build on this new found support. It seemed like many people's reaction to their surge was "of course they're up but it won't last." The party has never bothered to organize at the district level, when they were riding first in the polls a few years ago and had 5 MHAs I think they had 9 district assocations in place out of 48 districts. Their AGM last weekend was again held in St. John's - they never go outside the capital city - and they had just 80 people there, which is lower than it has been in recent years. For comparison, when the PCs were struggling in 2013 and in third place I remember hearing that they had like 800 people at their AGM. They were of course in government and were better organized but it's still goes to show that a party can attract a large gathering. They seemed to put a good executive in place, although the main people are still from St. John's, so we'll see if they will actually get the work done to organize the party. Their job, and Earle McCurdy's job - over the next 18 months or so should be on the gorund organization and then get ready to select a new leader. Despite his strong endrosement last weekened McCurdy is not becoming premier, his job needs to be to get the party ready for the next person. The CRA poll showing the NDP in first place - by a narrow margin - also showed McCurdy trailing his party significantly when it came to who'd make the best premier. He's barely ahead of Dwight Ball, and he's been faced with scandal after scandal with questions around whether he's going to resign. Former Premier Paul Davis has a large lead when it comes to who'd make the best premier and he was just turfed from office after his party's worst showing in 40+ years. It won't take the public long to forget the mess the PC Party caused when they get a new leader in place so the NDP need to get ready for that. Keep up the good work NDP and make it happen: it’s all about the unfairness between the small number of one percenters and the vast majority of working people. Time to address inequality head on. The NDP seemed to be reviving but their support has once again fallen. While they started off the year at 24% their support has gone as low as 12.5%. There was a lot of polling done this year and support for the NDP has pretty much been in the mid to upper teens, which is historically good for them. However, at a time when the NDP should be doing well in Newfoundland and Labrador, they have not been able to capitalize on an unpopular Liberal government and the memories of an unpopular PC administration. There's another by-election being held in Topsail-Paradise on January 24th and it'll be interesting to see how the NDP perform, but once again they seem to be disorganized. The seat should be an easy win for the PCs, as it was held by former premier Paul Davis, but it's a suburban seat in the St. John's area where the NDP had previously started gaining support in. In 2011 the NDP won over 30% of the vote in suburban St. John's, that dropped to 8% in 2015. If they want to start making gains this area is key for them. As was the case in the last by-election in Windsor Lake, the NDP were slow to organize. Paul Davis announced in October that he was stepping down at the beginning of November. The PCs had their candidate in place almost immediately. The Liberals only announced their candidate several weeks ago when they announced the date of the by-election. After the by-election was finally called the NDP opened nominations, only to acclaim an unknown candidate. This is the second time in a row that the by-election was called and the NDP did not have a candidate in place, the last by-election was called rather quickly so it's somewhat understandable that they weren't prepared right away, but they've had nearly 2 months this time. Their lack of organization seems to be their biggest hurdle in making solid gains. Well the NDP managed to win 5% of the vote in this week’s by-election. A slight improvement from their less than 5% in 2015. Newfoundlander, I really appreciate your insight into Newfoundland politics. I have a question though. If I'm understanding you correctly, I'm hearing you say that regardless of support in the polls, the NDP currently lacks the infrastructure needed to capitalize on that in an election campaign and win seats. Is this correct? I think that is an inherent challenge with any small party, if the NDP in Newfoundland is officially a party. Yet there is another possible opening for the NDP. What do you think of the possibility of a minority government being elected this Fall? I would think it's the best shot for the NDP, because in a minority government, suddenly all voices become relevant. Also, the Greens in PEI seem to be in good standing and have a realistic shot of winning, despite having the current representation in PEI that the NDP does in Newfoundland. What do you feel distinguishes those 2 situations? For whatever reason the NDP have never been able to organize themselves. Following the 2011 election the party polled strongly for a couple of years, even moving up to first place. Yet I think they managed to have 9 district association organized throughout the province, at that time there were 48 districts. Then you look at the recent by-elections, the party just seemed to give up before they started. Yes they were uphill battles for them but in the case of the recent by-election in Topsail-Paradise the seat was vacant for two months before the by-election was called and the NDP still didn’t even have a candiadate in place. The NDP has won over 25% of the vote in that area in 2011 and this time they ran a candidate who didn’t live in the district and the party never even bothered to open a campaign headquarters. Maybe they didn’t want to waste money in a campaign year but the optics are just bad. I can’t see a minority government happening this fall. If the NDP were stronger it could be a real possibility but at this point if Lorraine Michael retires then it’s quite possible that leader Gerry Rogers is the only candidate with a chance of winning. I don’t know enough about PEI politics but I’m guessing the Greens have just been successful in organizing and making themselves a viable options. Many people feel that this was the ideal time for the NDP in NL to gain support and they’ve failed. The Liberals are unpopular the PCs still have a lot of baggage but get the NDP have just fallen in the polls. For numerous reason I think they’ll remain irrelevant for the foreseeable future. Bit of a strange story. NDP leader Gerry Rogers will not confirm if she’s seeking re-election in an election that could be held within a few months. 10 months into her leadership Gerry Rogers announces she’s resigning as leader months before an election. The NDP's other sitting MHA, former leader Lorraine Michael, will be 76 years old in March. Is she running again? Could the party be shut out of the legislature completely this fall? Lorraine says her intent is to run again. If she doesn’t I’d say her seat would be up for grabs. Possibly. And in a way, it would serve them right for orchestrating a putsch against Michael for no valid reason. She had the party in a strong position in the polls-all she was guilty of was opposing neoliberalism when most of the NDP MHA's cared more about keeping the party Blairite than about making any electoral gains. Everything dismal in the party's fortunes since then is the responsibility of the anti-Michaelites and their treachery. The NDP under Michael prior to the caucus implosion might have been polling stronger but I think much of it was a mile wide and an inch deep. There were many issues with how she was leading the party, particularly from an organizational standpoint. Alison Coffin said Wednesday she will put her name in the running for the leadership of Newfoundland and Labrador's New Democrats. Gerry Rogers — who defeated Coffin 10 months ago in a two-candidate leadership race — announced Tuesday she will resign as soon as the party chooses a new leader. Rogers will also not run in the next general election. "I know that our province needs a shakeup in government, and I think I can provide that change," Coffin told CBC News. There may be other candidates to challenge Coffin, too. On Wednesday afternoon, former provincial party president Mark Gruchy said he is also considering a run at the leadership, saying that a number of people have asked him to throw his hat into the race. In a statement emailed to CBC News, Gruchy said the biggest priority for the party is unity. "The primary job of the next leader of the party will be to build cohesion and coherence within," he said. "This is the overriding imperative. It simply has to be dealt with. Confronting this task is going to define the party in this province for years to come." Former NDP leader Lorraine Michael said Tuesday she will seek re-election as an MHA, but will not enter the leadership race. ..gerry rogers at a cupw rally for worker fairness in wpg. gotta like that! Well, gee, the revolt and the implosion and the "leaders" what remained of the NFLDNDP brought in to replace her REALLY sorted all of THAT OUT. The passionless, cynical right-wing hacks who pushed her out really pulled that organizational thing together. Definitely. Yes because they disagreed with her they must be cynical right-wing hacks. Given that what they opposed her on was her idea of allying the party with the social movements, and that what they wanted instead was for the party to stay with the hopeless strategy of obsessing on "the centre ground", and given that two of four authors of the leakeed caucus letter ended up defecting to the Liberals, largely yes. Other than Gerry Rogers, Can you point to any of those who forced her out as a person with any genuine commitment to economic and social justice, as anyone who wanted the NNDP to actually be significantly different than the Liberals or the PC's? In any case, why would you still defend the ones who forced her out when nothing but electoral calamity came of it? I would argue that those caucus members represented a significant portion of the party. And would calamity have occurred had Lorraine Michael stepped aside when her entire caucus asked her too? (on edit) Misread the question. To clarify. OK...here's the calamity which would have happened: the election of a new NDP leader who would have been well to Lorraine Michael's right-an outcome which would, in itself, have made it impossible to argue that anyone at all should have voted NDP in the subsuquent election. Why wasn't it enough for her to offer a vote on her continued leadership? Why was standing down the ONLY acceptable choice as you see it? And what possible justification could there have been for leaking the letter? It's not as though THAT could lead to any positive outcome and it goes without saying that, if she had just stood down, no leader elected after it became clear that she'd been forced out by caucus could ever have unified the party or offered any program worth voting for. You can't elect left-of-centre governments after that kind of treachery occurs. Given how badly things went in election after Michael was stabbed in the back, how could anything other than calamity have occurred if she'd stepped down earlier? BTW, there's been no recent record of success for any provincial NDP anywhere that has obsessed with winning over "the center", i.e., the socially progressive, fiscally conservative voter who, as it turns out, doesn't really exist anywhere. I hope that whoever does lead the NDP there gets it together, and I'm sorry if I've sounded blunt, nothing personal-it just frustrates me to see the damage done by the caucus implosion, and I hope you can at least accept that there was no excuse to leak the caucus letter demanding Michael's resignation to the press, that that should have been a strictly internal matter. Friday is the deadline for leadership candidates to be nominated. Any further word on potential leadership candidates besides Coffin?